Prime ministers don’t usually get asked whether they have had their eyes removed. But then, exceptional circumstances call for extreme measures. 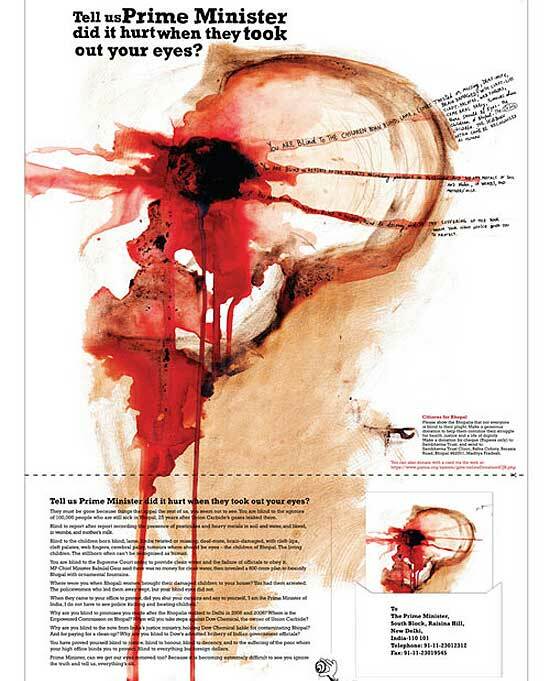 In a recent postcard campaign featuring a bloodied skull, the International Campaign for Justice in Bhopal (ICJB) and its supporters put that question to Manmohan Singh. Why else, they added, would he be “blind” to the sufferings of victims of the Bhopal gas tragedy. Shortly before that, the PM, Union environment minister Jairam Ramesh and Orissa CM Naveen Patnaik found themselves on hoardings—and not the usual sycophantic kind. 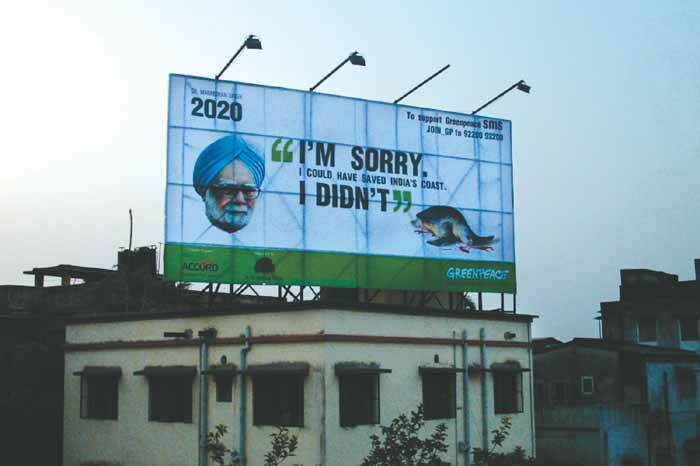 Put up by Greenpeace in Calcutta, they featured digitally aged photographs of the three men in 2020, showing them apologising for not protecting India’s coastline. “I’m sorry. 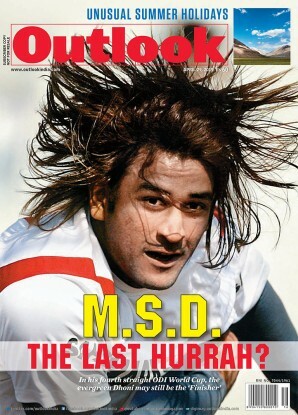 I could have saved India’s coast. I didn’t,” one had the PM declare. Greenpeace said the hoardings were pulled down after they angered the Congress. Through ads like these, a growing number of environmental activists are ditching conventional means of protest for newer, harder-hitting methods seeking to shock politicians, stakeholders and the public out of their nonchalance. This trend marks a sharp departure from the rallies or hunger-strikes that have characterised Indian environmentalism, the kind favoured by the Narmada Bachao Andolan or the Chipko Movement. Expect such “eco-shock” campaigns, already widespread in the West, to increase as Indian activists seek to build mass awareness in an era of accelerated industrialisation. There is really no choice, they argue, with thousands of acres of pristine forest land getting cleared en masse and India’s coastline being wantonly encroached upon to set up industries. As Ashish Fernandes, the oceans campaigner for Greenpeace, says, “Despite our increased efforts, there has been an equally strong pushback by development lobbies. So, more groups are likely to take to creative confrontation to get their message across and identify the culprits.” The hoardings, he adds, were a “challenge” to political leaders to live up to their repeated claims of protecting India’s coast. Environmental activists, including those from Greenpeace and ICJB, do use hard facts and research to influence policymakers. But those campaigning on the ground find it more effective to put out stronger, simpler, more direct messages to grab attention. “We have to take the work of advocacy groups further, drag it out of the closet, out of the hoity-toity of policy circles to the roads for everybody,” says Vivek Kumar, communications director at Greenpeace. That’s why you see volunteers clambering atop power plant chimneys, blockading corporate offices (like Tata’s) and chaining themselves to ships that arrive at Alang’s shipbreaking yard—gestures that do focus attention on the issue, and provide brilliant photo-ops. Coinciding with Tata Nano’s launch last year, Greenpeace also released a full-page ad in The Financial Times and the International Herald Tribune reminding the Tatas that a Nano may be “cheap”, but an Olive Ridley turtle is actually “priceless”. It was a reference to the fact that the port Tata is building in Dhamra (Orissa) threatens a nesting ground for the turtles. Enviro-vigil, an NGO, released an advert with surreal images of trees running away from a saw-wielding man. Do shock tactics work? Yes, argues ICJB member Satinath Sarangi, one of the most dogged campaigners for the rights of the Bhopal victims. Of the postcard campaign targeting the PM, he says: “That’s why the PM agreed to set up an empowered commission to look into the disbursement of relief money. It’s another thing that he hasn’t actually set it up as yet.” Because the Bhopal campaign has dragged on for so long, the ICJB has been under constant pressure to come up with newer tactics to keep its struggle alive. Last year, on the 25th anniversary of the disaster, it devised a macabre “prank”, bottling toxic water from the site, putting a designer label to it—‘B’Eau Pal’ (a pun on “eau”, the French word for water)—and dropping it off at Dow’s office in the UK. The firm got wind of the plan, and went so far as to evacuate its employees and shut its office for the day, but the group managed to make its point in the media and larger public space. In 2007, ICJB gave away Mir Jafar awards (named after Mir Jafar, regarded as a traitor for striking a deal with the British East India Company before Plassey) to individuals it deemed responsible for the continuing plight of the victims. Donning masks resembling Manmohan Singh, Montek Singh Ahluwalia and Kamal Nath, various people received the awards for “treachery above and beyond the call of duty”. And in 2009, it even organised a feast of toxic waste, inviting several high-ranking officials, after a government official declared that it was safe for people to consume a certain amount of the waste. 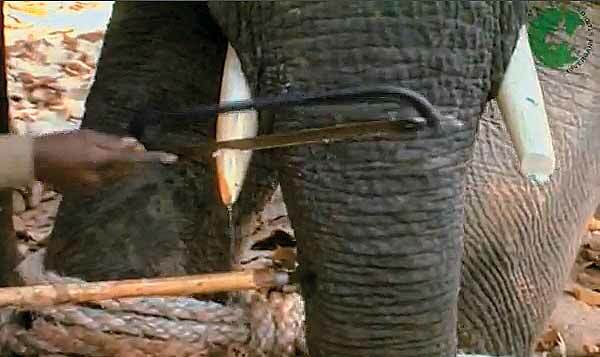 Wildlife filmmakers like Mike Pandey have also resorted to shock tactics, with their heart-wrenching images of elephants being beaten to death and sharks being killed brutally. Recently, Enviro-vigil, a Thane-based NGO, released an advertisement with surreal images of trees running away from a saw-wielding man. “What will it take to move you,” the ad asked. Not far away in Goa, where mining and real estate development has wreaked unparalleled havoc, campaigners have relied on strident online campaigning, including a “Goa Goa Gone” video, to get urban volunteers involved. “If people get shocked, so be it. But they do now come in large numbers to express their support whenever protesting locals are arrested,” says Sebastian Rodrigues, a researcher based in Goa. As the stakes rise in the environmental struggle, requiring everyone to do their bit, one can perhaps bid goodbye to polite green exhortations. As Greenpeace’s Kumar says, “There’s no point in telling people there is a problem. They already know. The point is, how are you going to move forward?” Shocking people to go green sounds like a good idea. But will it work everytime?